KitchenAid 7-Cup Food Processor Just $57.93! Down From $130! PLUS FREE Shipping! You are here: Home / Great Deals / Amazon Deals / KitchenAid 7-Cup Food Processor Just $57.93! Down From $130! PLUS FREE Shipping! This KitchenAid 7-Cup Food Processor is now offered at Amazon for only $57.93 down from $129.99 PLUS FREE shipping! 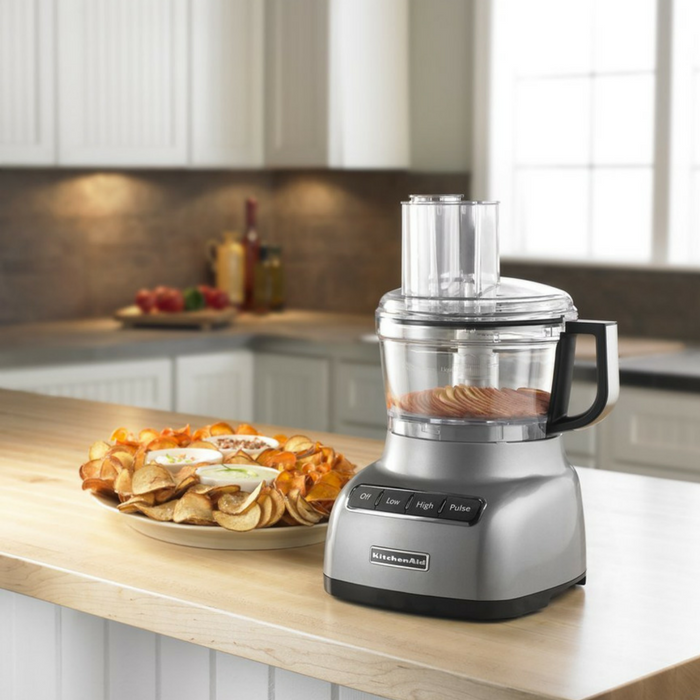 The KitchenAid 7-Cup Food Processor is powerful and durable. This model has a 7-cup work bowl with 2-in-1 Feed Tube and pusher for continuous processing. The 7-cup capacity is ideal for many home cooking needs, allowing you to chop, mix, slice and shred with ease, offering multiple tools in one appliance. Model KFP0711 includes 7-Cup Work Bowl, internal adjustable slicing disc, reversible shredding disc and multipurpose blade.